Before being replaced by the official Beatles Anthology, The Compleat Beatles was the definitive Beatle documentary. Directed by Patrick Montgomery and brilliantly narrated by Malcolm McDowell, it features fantastic story-telling, wonderful footage and timeless songs. It was the perfect introduction to all things in Beatledom. The Compleat Beatles (nice Beatle word play there) benefits greatly from having conducted interviews from key players (none from The Fabs themselves though) with memories still relatively fresh from the events that are discussed. We hear from figures such as early Beatles manager Alan Williams, fellow Cavern dwellers Billy J Kramer and Gerry Marsden and also from singer Marianne Faithfull. Marianne tells a lovely anecdote about Paul McCartney arriving at a party with an acetate of Hey Jude that he played to the stunned crowd in 1968 (a crowd including Mick Jagger). Along with fantastic Beatlemania footage, you get a real sense of the times and the cultural impact of the band from these clips, plus an overwhelming respect for their incredible musical output. The documentary proved very popular and was released by MGM on home video before earning a short theatrical release (this reviewer wore out his own copy as a kid in the 80’s.) Compleat Beatles has a rawness and magical fairytale-like quality that can be found lacking in the official Beatles Anthology. It’s very well put together with an excellent narrative, complimentary video and song selections. In 1987, Beatle fan Malcolm McDowell recalled how Paul McCartney had indirectly asked him to narrate the documentary and how, after seeing what a ‘brilliant film’ it was, he had readily agreed. Ironically, McCartney would also (controversially in some quarters) ensure that The Compleat Beatles was taken off the market in the mid 90’s. He purchased all the negatives to make way for the new Anthology project. A shame, as both titles could have happily co-existed. Fortunately, the whole film is still available on YouTube. See it while you can! This famous documentary was originally a 16mm film titled What’s Happening? The Beatles In The USA but was re-edited and re-named for its 1991 release. Made by legendary documentary makers the Maysles brothers, it provides a unique fly on the wall perspective of The Fab Four’s first trip to America over two weeks in February, 1964 as their song I Want To Hold Your Hand raced up the charts. A screening of this film will clearly demonstrate to any viewer the sheer hysteria that greeted the Fabs on this trip. The energy and excitement are tangible as The Beatles go from effortlessly winning over the US press with their group charm, honesty and wit, to the fish out of water experience they all collectively experience. Coming from Liverpool to the land of their dreams really was the stuff of fairytales. Witnessing Paul McCartney’s excitement at hearing American radio for the first time, with running commentary on The Beatles progress is a joyous experience. John Lennon, never quite leaving his cynicism at customs, playfully mocks US DJ’s with some perverted Liverpool slang, George looks happier than he ever would again during the entire 1960’s, Ringo clowns around and Brian Epstein looks on from the background at the monster he has helped to create. The group’s innocence and youthful exuberance somehow get them through it all. The 1991 version has some footage extracted but includes more of the Ed Sullivan Show performances. There are hardly any interviews throughout, the brothers instead present their own ‘cinema of truth’ to the audience. A very simply shot documentary that, due to their access to (almost) all areas, gives an honest and thrilling ride with The Beatles, from New York to Washington and on to Miami, on this first US Tour. The guerrilla style of film-making pays off when Albert and David Maysles are refused access to the CBS studios for the band’s legendary first Ed Sullivan Show performance. They simply improvise and pop over the road to film a family watching the show! It is this kind of intimacy, improvisation and home-movie feel that makes the film a must see. The Beatles:The First US Visit truthfully captures the full force of the then new phenomenon of Beatlemania. Rumours of an official Beatles documentary had been circulating since 1970 when Beatles assistant Neil Aspinall began work on a project named The Long And Winding Road but it took until 1995 for this to become a reality. 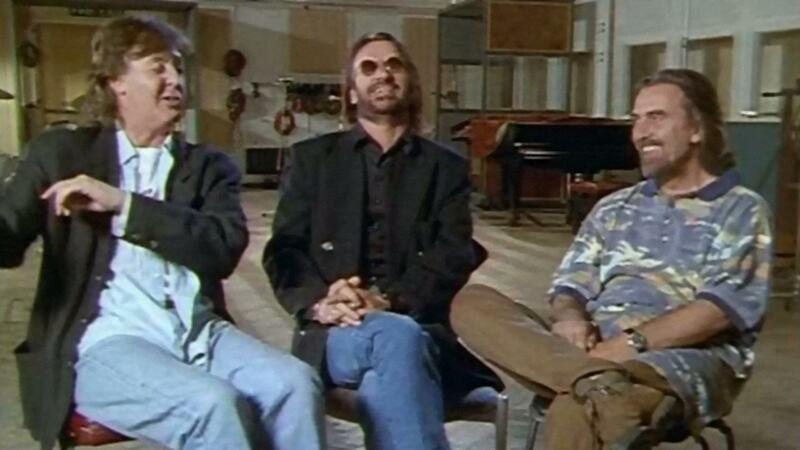 A rough cut of interviews (by Jools Holland) of Paul, Ringo and George ( with archive Lennon quotes) was prepared in 1993. Footage from the Apple vaults and many other sources were compiled in chronological order to create a documentary that The Beatles themselves narrated and appeared in. 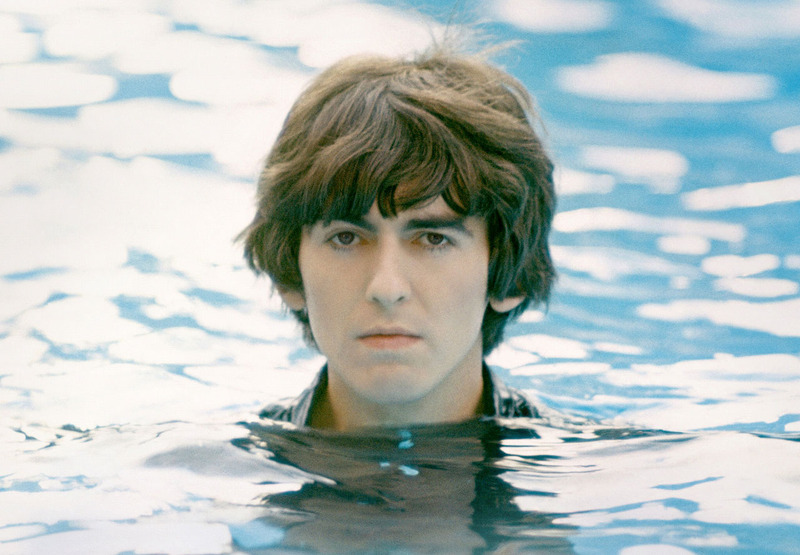 The title was changed to Anthology due to George Harrison’s insistence that the project not be named after a McCartney song. Harrison was reluctant to take part all along but his hand was forced due to both business difficulties and heavy court costs. He is also less than enthusiastic in the re-union scenes, filmed at McCartney’s Suffolk studio, where he jams on old rock n’ roll tracks with Paul and Ringo. There is a moment of the old tension too in the Abbey Road footage with producer George Martin, where Harrison is awkwardly patronised by Martin when asking a perfectly reasonable question about a track. 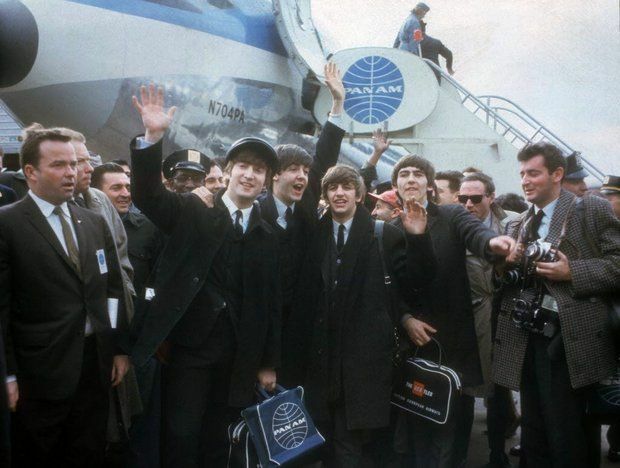 In contrast, McCartney is full of enthusiasm and energy, while Ringo looks delighted to be with his old pals again. John’s absence is of course keenly felt. 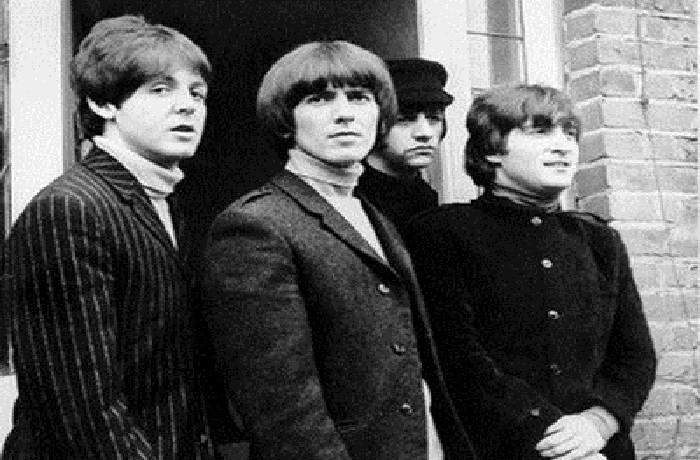 The promise of new Beatle material was a huge pulling point for the whole Anthology project. The nostalgic single (based on an old Lennon demo) Free as a Bird gained wall to wall airtime throughout the Western world on release, yet failed to reach No1 in Britain or the USA. However, the official Anthology albums of unreleased material, released in three separate volumes, sold by the millions. The Anthology covers all the important Beatle events and has many interesting anecdotes and footage (the newly restored and coloured All You Need Is Love transmission from 1967 being one such highlight). It’s great to have three Beatles (plus old Lennon interviews) on film sharing their own perspectives on what happened rather than a hired narrator. Yet, it all feels rather sugar-coated and made by committee. John Lennon’s no nonsense opinions and modern perspective on it all are very much missed, as are any warts and all footage, or even a hint of controversy. Yoko Ono is barely mentioned. In 1971, John Lennon embarked on recording his latest album at his country estate near London, aiming at renewed chart success. His previous album Plastic Ono Band, while now regarded as a classic work of self-analysis, had failed to set the charts alight. The Imagine album would see him triumphantly return to the top of the charts in both the UK and the USA. He was armed with some beautiful left-over melodies from his Beatles days, such as Child Of Nature (which morphed into Jealous Guy), some wonderful new songs (Imagine would become his most well-known song) and a fine assortment of musicians (including George Harrison). On top of all this, he had the legendary (but unpredictably eccentric) Phil Spector on board to produce the sessions. All the ingredients were in place for a hit record. This documentary, in typically honest Lennon style, captures the warts and all process of recording the album. It is a fascinating window into Lennon’s life at that point in history. We see John teaching George his delicate new song Oh My Love, we witness Lennon showing his musicians Imagine on the piano for the first time, we voyeuristically observe John losing his temper with the sound engineer and then view the on-going post-Beatle tensions in the form of John and George’s sly jokes at McCartney’s expense. The frustrations and resentments towards his former partner manifest themselves in the incendiary How Do You Sleep? (with extra expletives thrown in for good measure). Yoko is involved too of course, even daring to tell the assembled star-studded line up of top musicians how to play one of John’s songs and interrupting recording to whisper an idea to Lennon in front of the bemused group. Aside from the recording sessions, there is the (from our perspective) disturbing sight of John hearing about a clearly emotionally disturbed fan camping out in his garden and inviting him in for a hot drink and some food. As the dishevelled young man informs John that Beatle songs were directed purely at himself, Lennon patiently tries to reason with him. Of course, knowing what we now know would happen nine years later in New York, this is now chilling footage. The tragic death of George Harrison in 2001 from cancer reminded the world just how much the ‘quiet Beatle’ had contributed to the band and how much he would be missed. Legendary film-director Martin Scorcese announced several years later that he would be making an official documentary of George’s life. Scorcese, a huge Beatles and solo Beatle fan, had also used Harrison’s 1970 song, What Is Life? In his classic film, Goodfellas. He spent a full five years sourcing archive and unseen footage of Harrison for the film. Living In The Material World takes its title from George’s 1973 album of the same name, an apt one, nodding as it does to Harrison’s well-documented love of Eastern spirituality. The documentary , while very long at three and a half hours, is a heart-felt and lovingly produced film. The time flies by as we journey through George’s incredible life. Of course, all The Beatle years are covered (with Paul and a still visibly upset Ringo adding new interviews) but we also get to witness George as the pioneer of charity concerts with his all-star Concert For Bangladesh in 1971 (a full 14 years before Live Aid) and as a key player in the British Film industry. Harrison’s Hand Made Films produced classic after Brit classic. From The Long Good Friday to Withnail And I, George had a hand in them all. In fact, his work with Hand Made Films deserves a documentary of its own! Scorsese’s film is a classy product, featuring perfectly restored old footage and evocative photographs before sweetly demonstrating George’s dry sense of humour and love of the absurd. He seemed to find a second gang to hang out with when he discovered Monty Python, appearing in Eric Idle’s Rutland Weekend TV Show, Idle’s hilarious Beatles parody The Rutles and the Monty Python’s Life Of Brian. What strongly comes across is how humble and popular a man George was. He appears to have been loved by everyone who met him. The only whiff of anything controversial is when Eric Clapton pops up to discuss taking George’s wife Pattie off him. Clapton seems full of remorse but points out that he and George somehow still remained best friends afterwards. Lastly, we get to see how Harrison forged a career resurrection in the late 80’s, teaming up with ELO frontman Jeff Lynne for the solo album Cloud Nine, and later with super group The Travelling Wilburys . Lynne and the remaining Wilburys all speak of George with the same affection that the whole film respectfully indulges in.